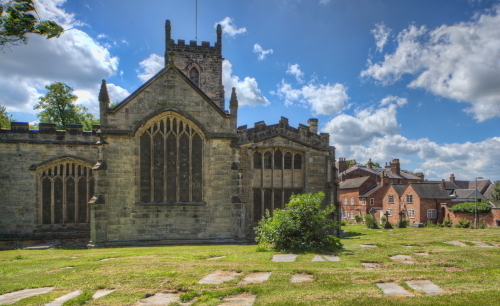 St. Helen’s is just off the High Street in this bustling Leicestershire town. 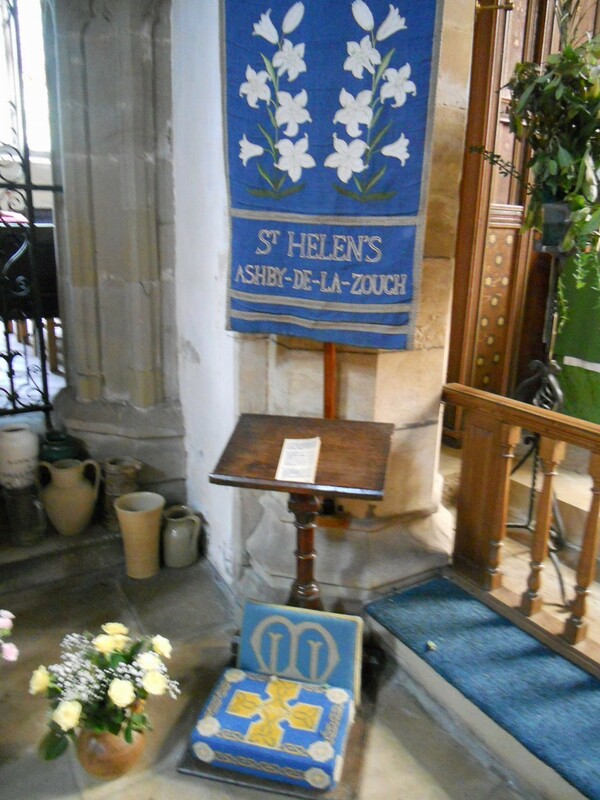 The church website is at http://www.sthelensashby.co.uk/ and features a guide to the church. The signage is very good with a good welcome. 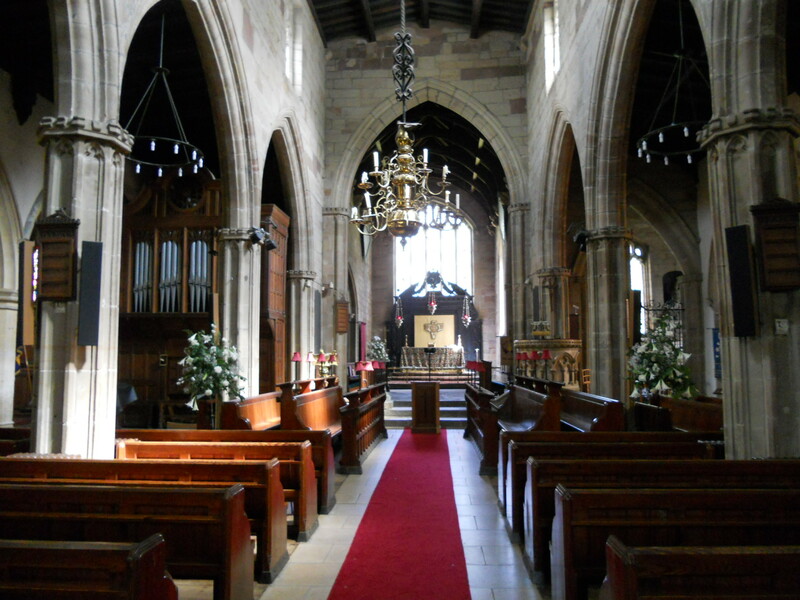 An A frame had been put outside the door as well saying that the church was open. Inside there didn’t seem to be a guide nor a visitors book. 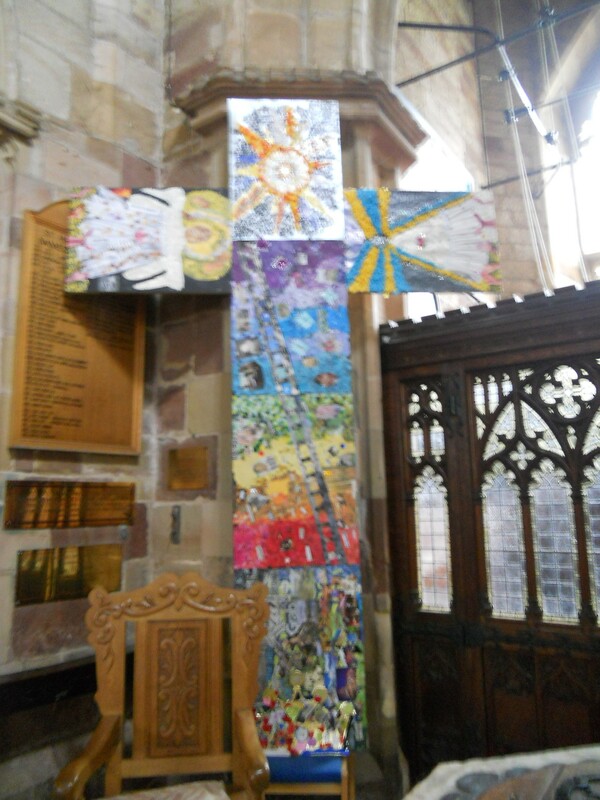 A display shows the churches mission links and some children’s work is on show. There is a small prayer tree, which is tucked away in a dark corner. A prayer desk was put in from of the Mothers Union banner and had a simple card on how to pray on it. This does give mixed messages. Are we to pray for the MU? It is all a bit half hearted but at least the church is open. At the back is a large cross but this isn’t labelled as to what it is about or why it is here – I assume it was a children’s project but why not say so? 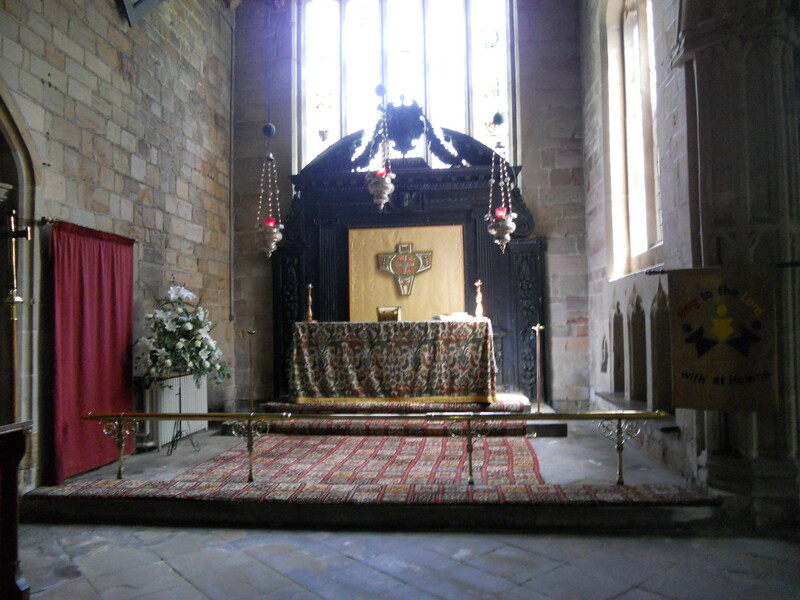 All in all there is room for improvement here – it is an interesting church to visit, the castle is nearby so there is the potential for a good visitor ministry here. As it is I have to rate it as poor for this study.